We became acquainted with Hellwig Products through our manufacturer’s representative Joe Bovee of Innovative Marketing Services. After getting to know Mike Hallmark, Hellwig’s West Coast Sales Manager, Hellwig generously offered to sponsor our build. 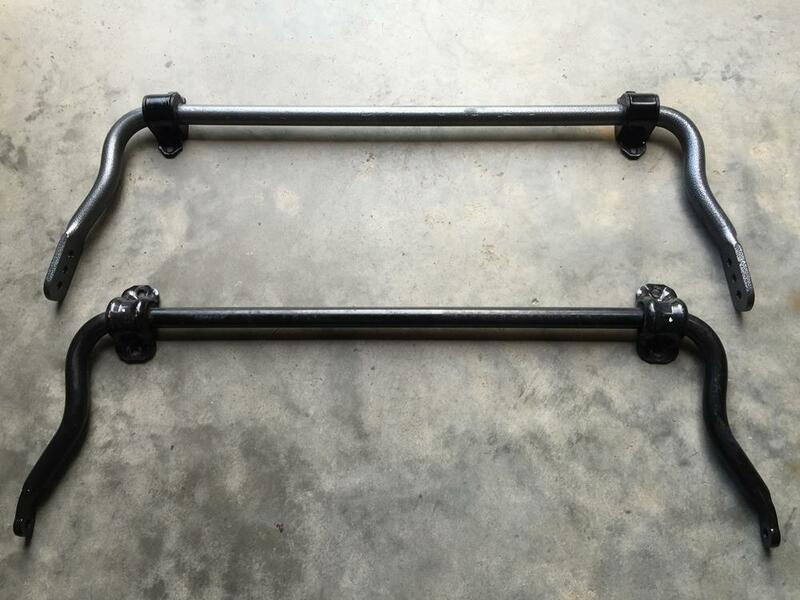 I was extremely interested in adding sway bars to the Jeep. 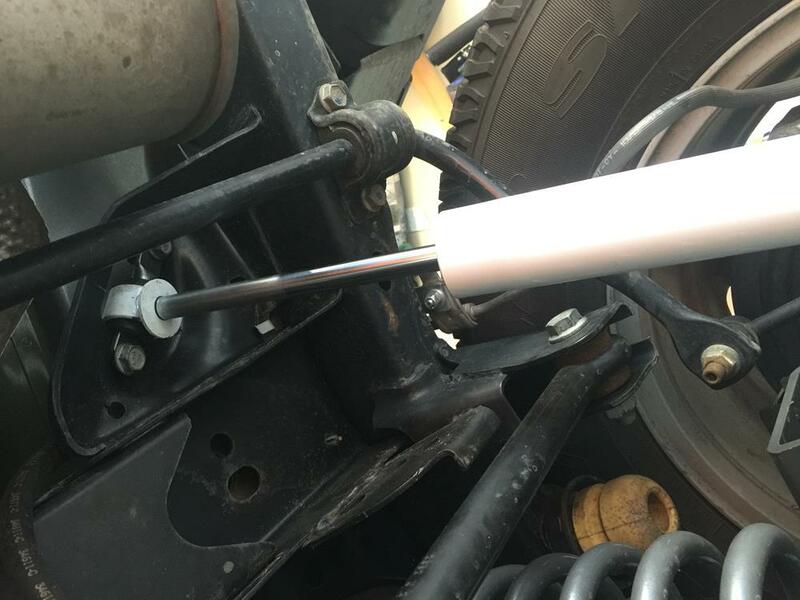 I had recently added a rear sway bar and a strut tower to my wife’s Mini Cooper with amazing white knuckled results. 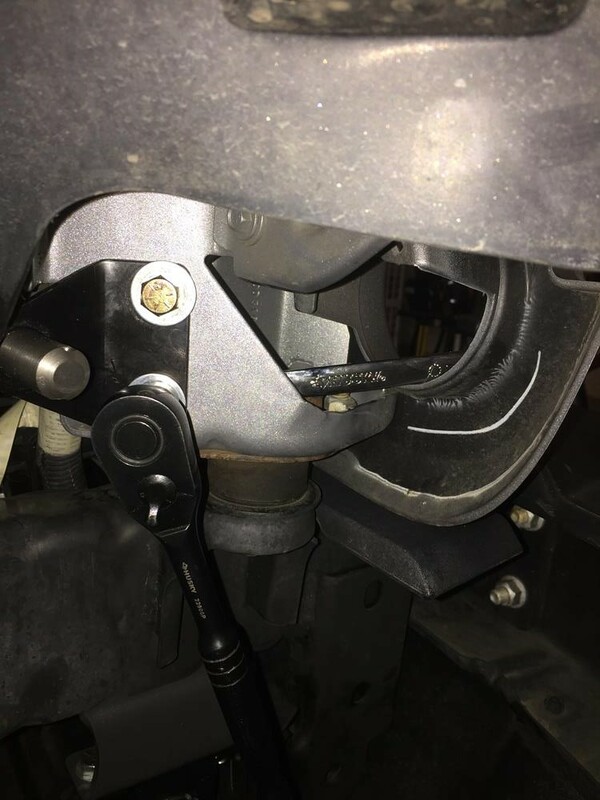 I wondered how sway bars would translate to a completely different vehicle like the Jeep Wrangler. If the Jeep’s body roll could be greatly reduced and better cornering traction gained, I was all in. “But what about off-road?” you might ask. Hellwig has a great feature that allows you to manually disconnect the front sway bar before going off-road, giving you unhindered front wheel articulation. Unless you have a Rubicon, you won’t be able to perform this function in a stock Jeep. Completely awesome for my Sport model Wrangler! I started with the rear sway bar, Part #7706, installation because it looked easier overall. 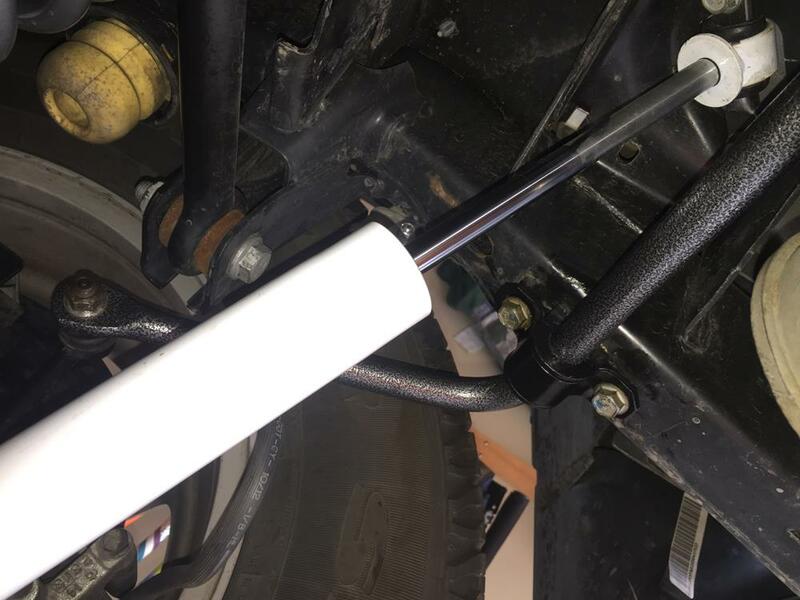 The stock sway bar is held in place by an end link and a bushing on each side. 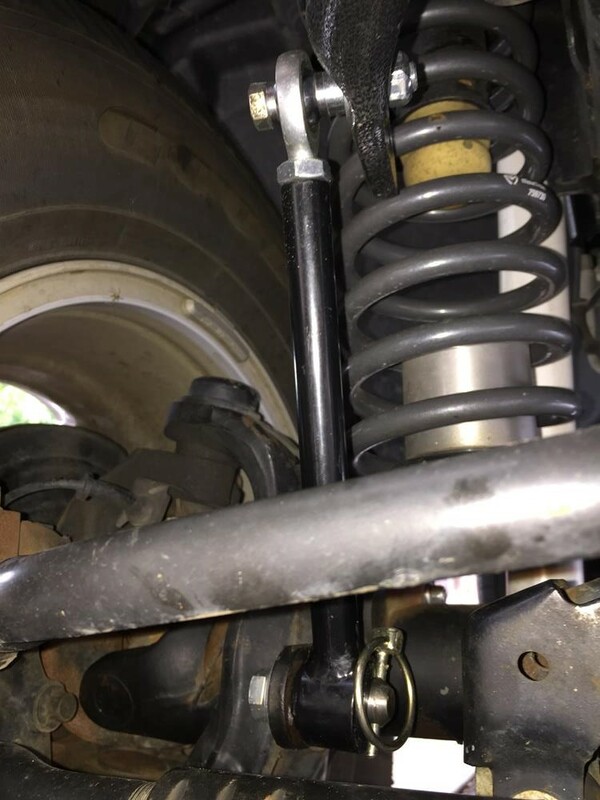 Once I removed the stock sway bar (which is accomplished without lifting the Jeep or removing it’s wheels), I compared it to the Hellwig rear sway bar. The Hellwig 4140 chromoly steel bar (bottom) is definitely heavier and stiffer, while being only slightly greater in diameter. The Hellwig polyurethane bushings were of greater quality than the stock bushings and grease is applied inside them before placing them over the sway bar. 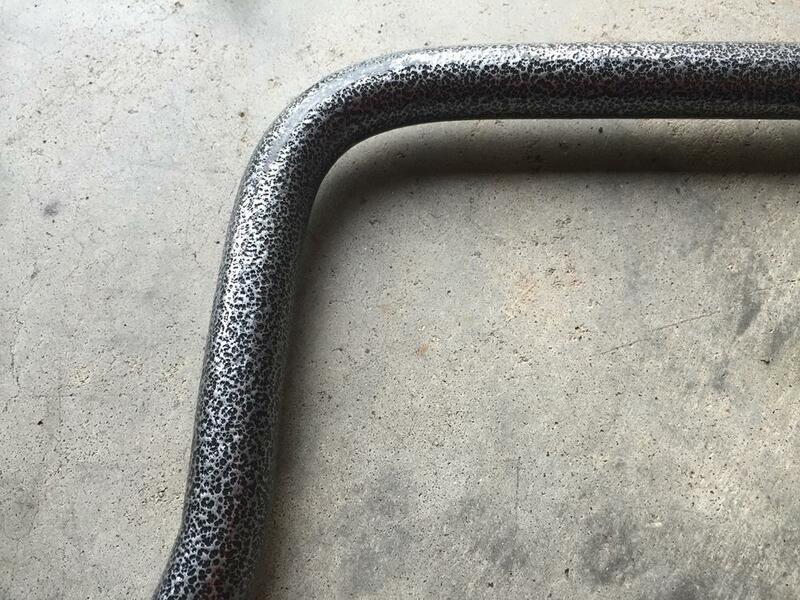 The hammertone powder coat finish on the bars seems like it is indestructible and it looks just fantastic. All that was left was to thread the Hellwig bar under the vehicle and bolt it to the same mounting locations as the factory bar. 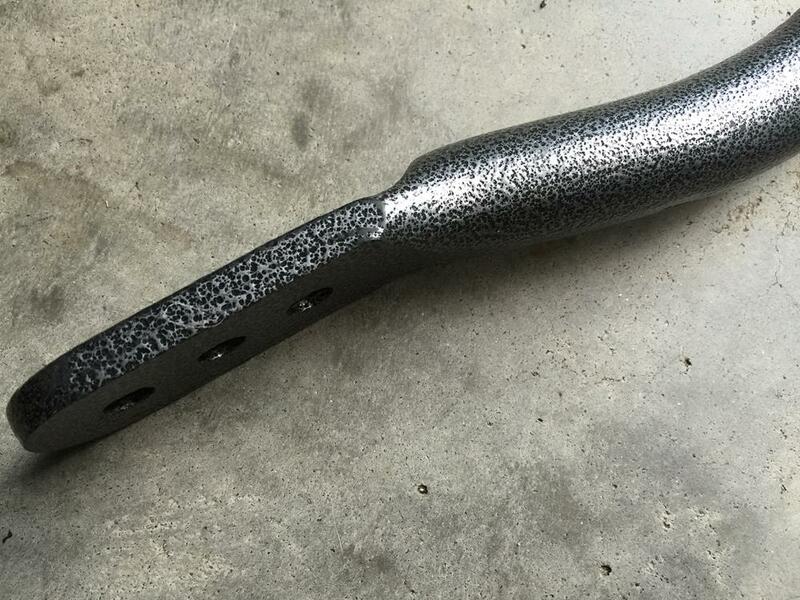 Now I was ready to move onto the front sway bar, Part #7876, installation. The factory bar is held in place by an end link and a bushing on each side, just like the rear bar. 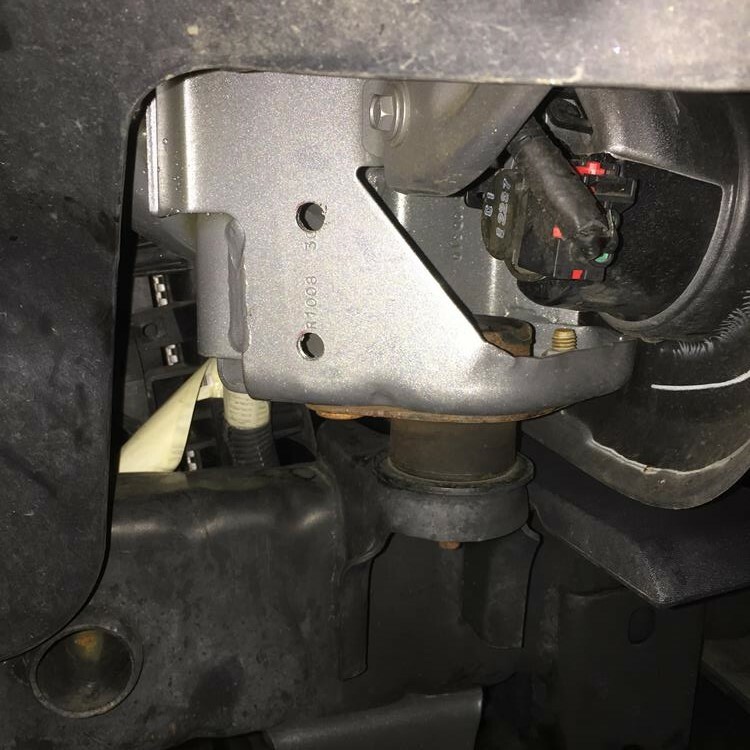 The bushings were attached to the MaxTrac sway bar drop brackets (the gray u-shaped piece in the photo below). 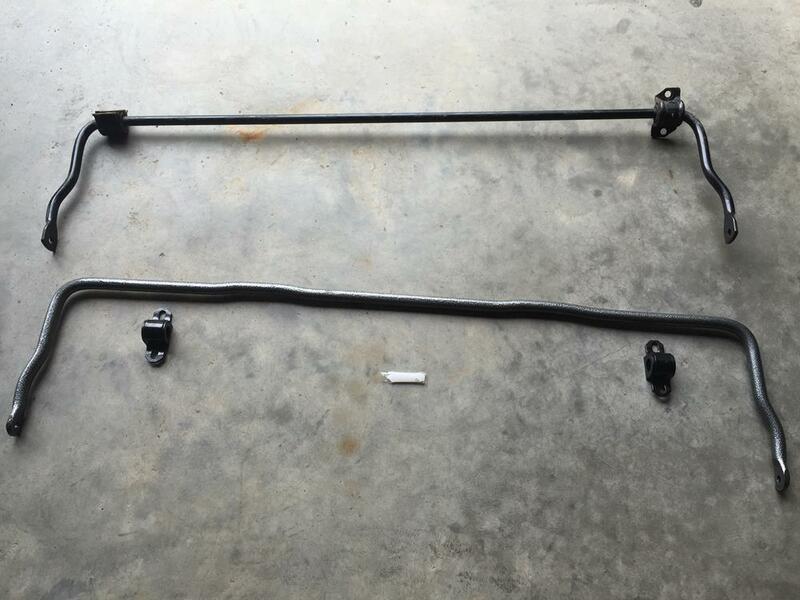 Once I removed the stock sway bar (again without lifting the Jeep or removing it’s wheels), I compared it to the Hellwig front sway bar. The Hellwig 4140 chromoly steel bar (top) is definitely heavier and stiffer, while being only slightly greater in diameter. The Hellwig bushings were once again much more impressive than the stock bushings. 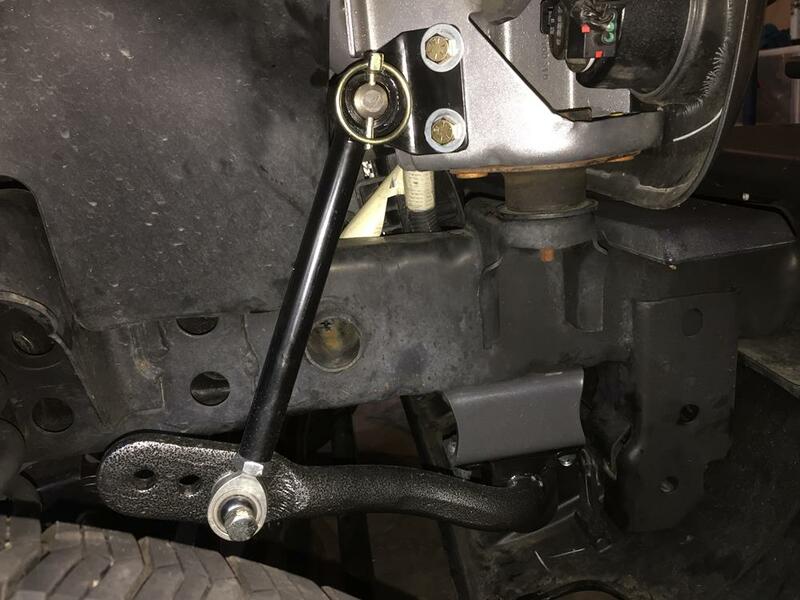 I threaded the Hellwig front sway bar under the vehicle and bolted its bushings to the sway bar drop brackets. The Hellwig kit comes with new front end links (assembly required) that are significantly longer than the stock end links. I installed each end link to the inner most hole on the each end of the sway bar. The inner hole provides the stiffest ride and the outer hole provides the softest ride. I installed the end link quick disconnect pins (bottom right in end link photo above) to the lower end link mounting brackets. Linch pins (similar to cotter pins) hold the end links on the quick disconnect pins. Now, I disconnected both end links from the quick disconnect pins and swung them upwards to position the end link relocation tabs. These tabs hold the end links and therefore support the sway bar when it has been disconnected for off-road driving. I used the tabs as a template to mark holes for drilling in the Jeep’s sheet metal. The trick to bolting the relocation tabs in place was getting a wrench to the nuts on the back side of the sheet metal. I solved this problem by first twisting the turn signal bulb out of the turn signal lens and then popping the lens out of it’s mounting bracket. Now, I could get a wrench to the back side nuts through the hole I had created. Once the relocation tab is mounted in place, the end link slides over the tab’s end link quick disconnect pin and is held in place by the linch pin. This system offers a quick changeover from on road to off road with no tools required. I am pleased with the driving characteristics of the Jeep in the stiffest position. When you go into a long gradual turn, like a freeway on-ramp, the outside tires just stick in place. The body of the jeep does not angle out over them. It is possible to accelerate through the entire turn using this extra traction to your advantage. 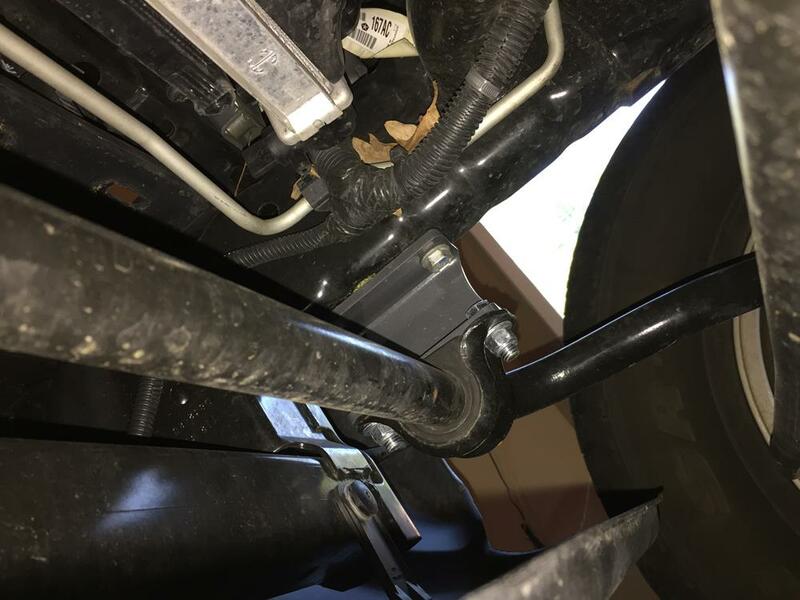 I have learned that the sway bars work to keep the weight of the vehicle evenly distributed over all (4) tires, thus extending the tread life of the tires – always a plus. I may experiment with dropping the end links into the middle position to see the difference in driving, but maybe not because I am enjoying the stiffest position. Once the Jeep is equipped with off road tires, I will update this post to include our experience on the trails as well. Thank you Hellwig for a great couple of products! 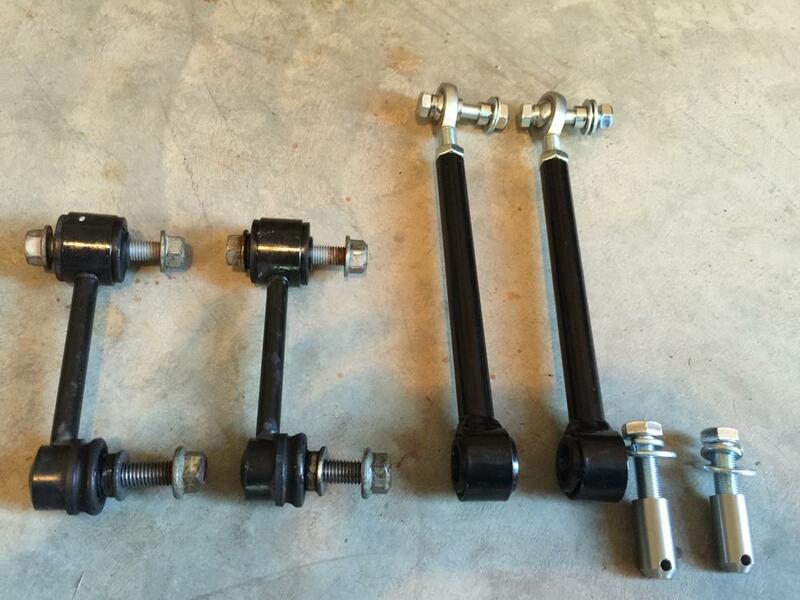 I am interested in your opinion of the sway bars now that you’ve put some miles on the jeep…and bigger tires, etc. I still am thrilled with the ride including the sway bars. I never moved them from the stiffest setting (position 3). In my opinion, it is the best one for road driving. As soon as you get off road or on uneven terrain, you wish you had more articulation of the front wheels. Of course, that is why you can disconnect the end links. If I were riding on gravel roads as part of my daily driving, I would try the front sway bar in position 2 or even position 1. Since I am all or nothing driving right now, I will leave the sway bar in position 3.